Author Maz IqbalPosted on September 27, 2011 September 29, 2011 Categories Customer Experience, Customer Philosophy, Customer Service, MarketingTags 1:1 marketing, advocacy, Amazon, Apple, CRM, customer, customer centricity, customer experience, customer focus, customer loyalty, customer service, Information technology, loyalty, relationship marketing, Starbucks, USAA, Zane's Cycles, Zappos6 Comments on Why do only a handful of companies excel at cultivating customer loyalty? Want me as your customer? Show me love. I read this opening line – ““How did we make you feel? That’s what really matters.”- from Lyn Hunsaker’s post and a little later the radio played one of my favourite songs. And that is the genesis of this post. Every time you encounter a customer in business you are faced with a choice. You can treat that customer as on object that has to be handled/manipulated to fit in with your agenda. In this case you are treating the customer as an object; in Martin Buber’s terms you are engaged in a ‘I-It’ relationship. Many companies do that because too many people forget that customers are human beings. It just so happens that if you want to build enduring relationships with customers you have to be willing to drop the ‘I-It’ relationship and move to the ‘I-Thou’ relationship. Fundamentally, this means treating your customer as a fellow human being and as such treating the customer as you would like to be treated if you were in her shoes. Why is this necessary? Now I can write a learned article in the acceptable business narrative and appeal to your left brain. Or I can share the lyrcis of the following song (“Show Me Love”) and appeal to your right brain. I prefer the latter as I want to talk to you as a human being rather than an engineer, an accountant or an economist. Incidentally, listening to the song is even better than reading the lyrics – so if you get a chance listen to the song. Does this strike you as idealistic? If showing customers love strikes you as being idealistic then that is because it is idealistic. That does not mean that it does not work. I know of a young man who started a car business 8 years ago with £4,000 pounds that I gave him and who, today, continues to expand his business with a loyal customer base whilst many of his competitors have gone out of business. His secret: he shows his customers love. The details I will leave for a later post. PS: I thank each and every one of you for reading the stuff that I write. Through your reading and commenting you leave me feeling loved! And that in turn gives me the motivational food I need to continue writing in my voice. 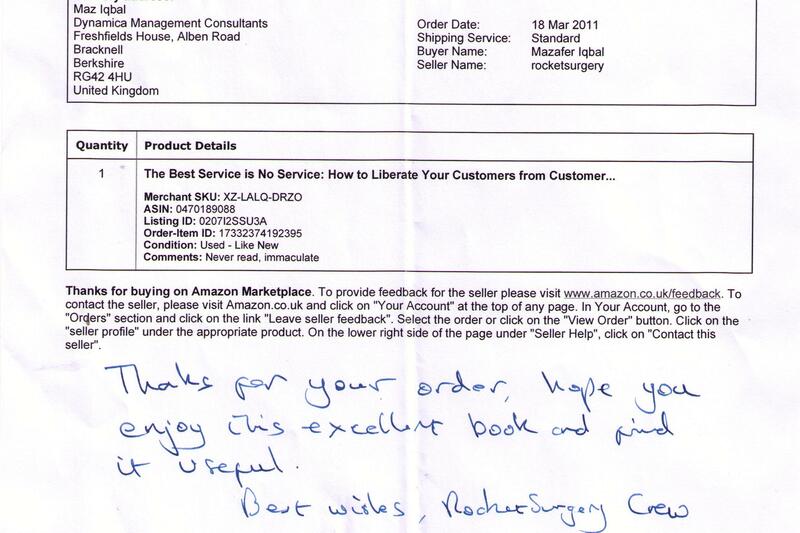 Author Maz IqbalPosted on April 9, 2011 April 9, 2011 Categories Customer Experience, Customer Service, Customer Strategy, Marketing, SalesTags 'I-It', 'I-Thou', 'show me love', customer experience, customer loyalty, customer service, customers, Love, loyalty, marketing, Martin Buber, sales2 Comments on Want me as your customer? Show me love.